Very absorbent. Minimum five times the launderability of traditional yarn mops. With microfiber, less chemical is required. The textured finish loosens and holds dirt until washed. 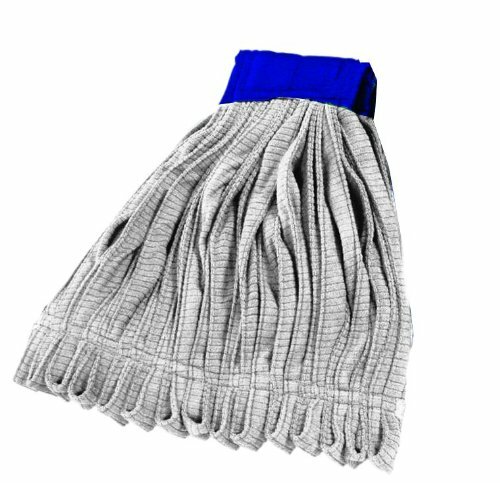 Priced competitively with traditional blended looped yarn mop heads, yet out performs traditional mops in both cleaning and durability. All mops have wide canvas headbands and tailbands with the white microfiber for color coding. Canvas headbands are longer lasting. 600g weight, White color. Canvas headbands are longer lasting. View More In Wet Mops. If you have any questions about this product by Impact Products, contact us by completing and submitting the form below. If you are looking for a specif part number, please include it with your message.